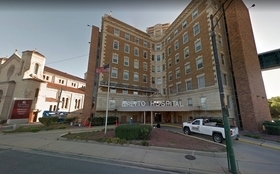 Loretto Hospital, a small community medical center on Chicago's West Side, has tapped a financial turnaround expert as its new president and CEO. George Miller Jr., who formerly oversaw a large network of clinics in Texas and was on the Medicare Payment Advisory Commission under Presidents George W. Bush and Barack Obama, took over on Nov. 1, the hospital announced today. "George is a very strong leader, with a successful track record for transforming both small and large health care organizations," Loretto board Chairman Edward Hogan said in a statement. "We believe this is the right decision in order for Loretto Hospital to meet the growing health care needs of the communities it serves." 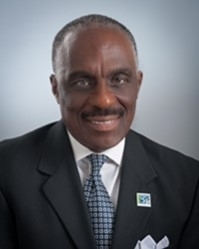 Miller, who is the hospital's first African-American chief executive, replaces Dr. Sonia Mehta, who took the helm of Loretto in 2012. She could not immediately be reached for comment. The medical center is one of the few independent hospitals left in a region that's rapidly consolidating as financial pressures mount. Patients on high-deductible plans can't afford or are skipping out on their bills. Pharmaceutical costs are soaring. The state budget crisis didn't help, delaying payments to hospitals and doctors alike. To gain strength by bulking up, a number of local deals are in the works. Chicago-based academic system Rush plans to absorb Little Company of Mary, a community staple in south suburban Evergreen Park. Powerhouse Northwestern Medicine in downtown Streeterville is negotiating with Centegra Health System to add that three-hospital network in far northwest suburban Crystal Lake. Loyola Medicine in west suburban Maywood plans to acquire smaller MacNeal Hospital in nearby Berwyn from for-profit giant Tenet Health, as the latter system plans to exit the metro Chicago market entirely. For Loretto in particular, surviving and thriving is tough. With just over 100 beds in use, the nonprofit is considered a safety net for its neighboring communities, treating a large number of poor and uninsured patients. It has far fewer financial resources than its more affluent rivals. But the hospital's new leader apparently has big plans. "I am inspired by the people at Loretto Hospital, its history, its mission, the work they have done in the community, and the vast improvements they have made over the years," Miller said in the hospital's statement. "But there is still so much work to be done. We have to be excellent. We have to be the very best in Chicago. Everyone has to be part of the process to deliver excellent health care. Therefore, we will work as a team to improve access to quality care, efficiency in operations and patient satisfaction in this community." "Loretto​ Hospital​ CEO​ is​ out​ after​ five​ years"​ originally​ appeared​ in​ Crain's​ Chicago​ Business.